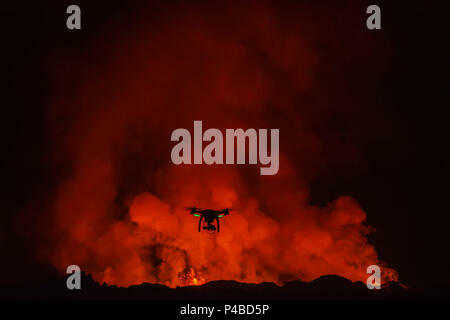 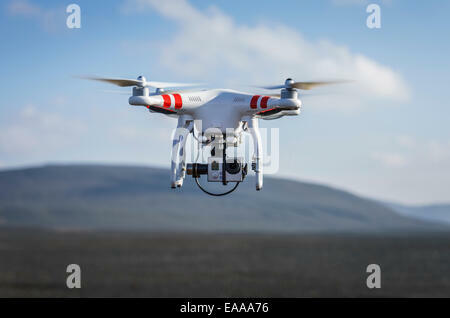 DJI Phantom 2 with GoPro, flying by the Holuhraun Fissure Eruption. 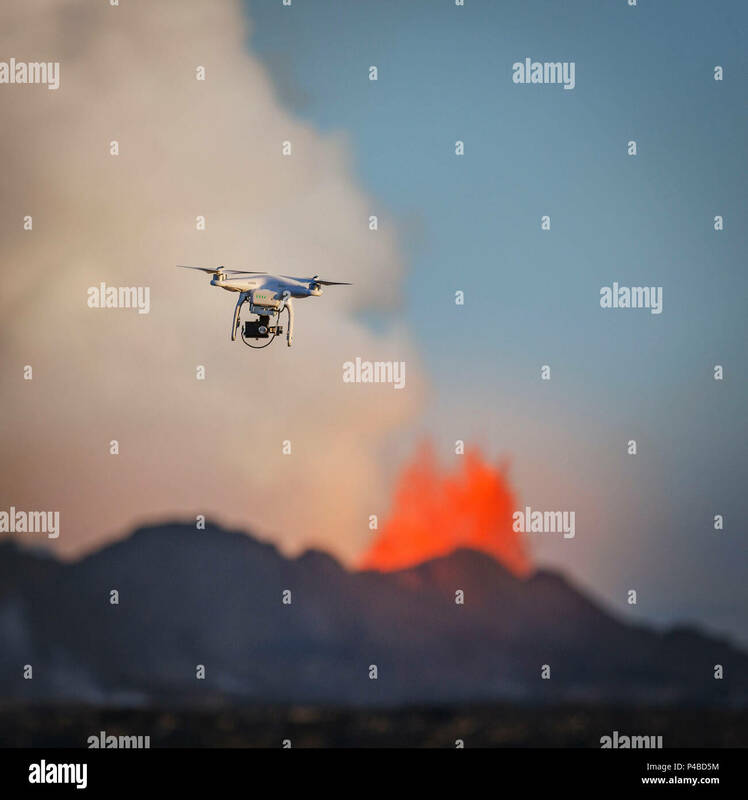 DJI Phantom 2 flying by the Holuhraun Fissure Eruption. 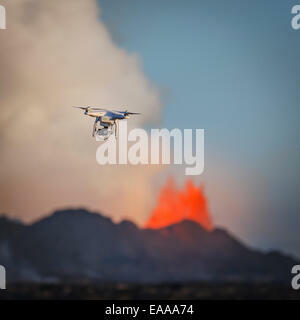 Aerial view of lava and plumes. 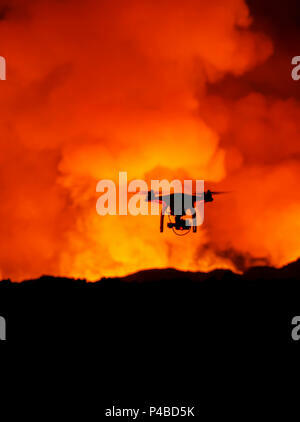 DJI Phantom 2 flying with Gopro Camera, Dyngjusandur sands near the Holuhraun Fissure Eruption, Iceland.